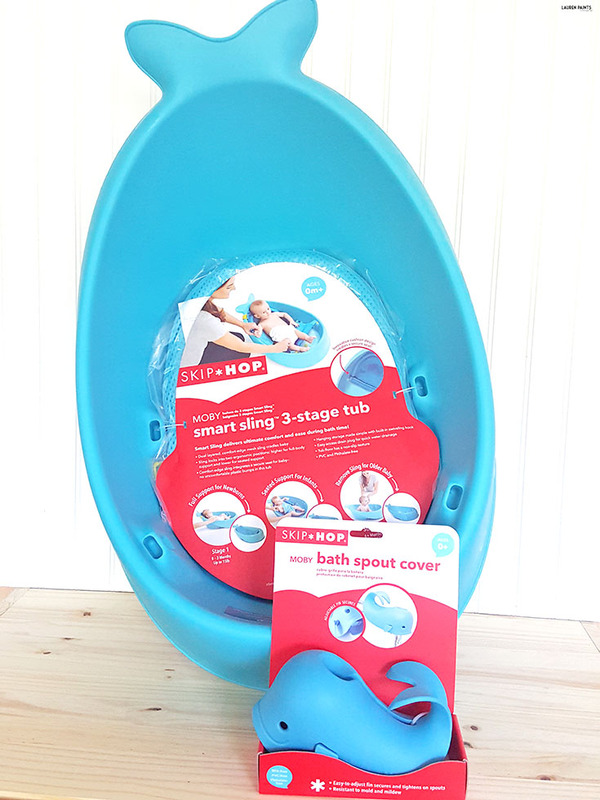 Make Bath Time Fun & Safe for Little Ones with Skip Hop! Thanks to Skip Hop for sending over these awesome bath time products so I could review them and include them in my Baby Shower Gift Guide. Regardless, all opinions below are completely my own. I'm literally counting down the days until my princess arrives, which means that I'm trying to occupy my time and fill up the house with items that are "must-haves" so that we'll have everything we need before she's here. 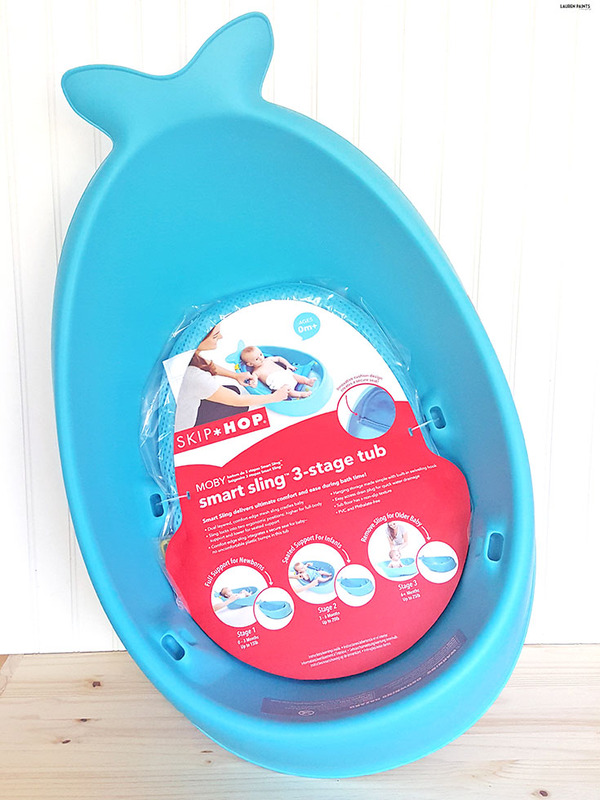 From the perfect bedding to the best bath time products, I've been doing my research and I fell in love with the Skip Hop Moby Bathtime line! 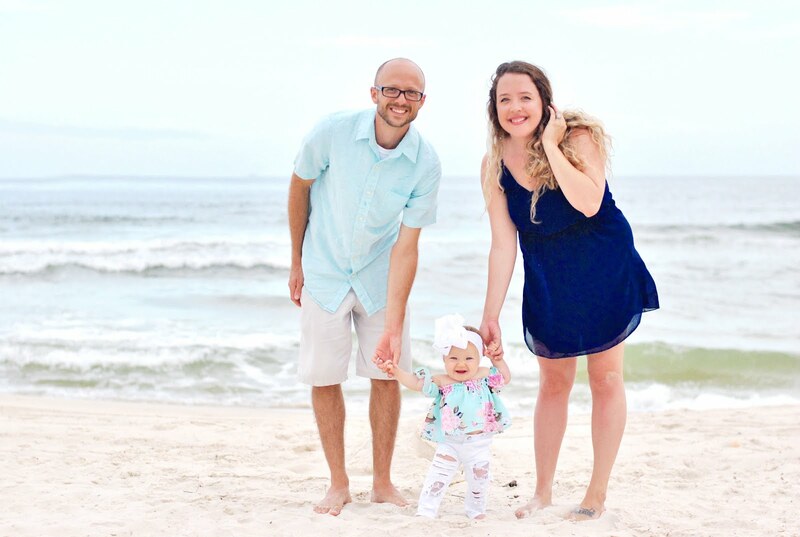 Our little darling will be surrounded with nautical themed things, from mermaids to seahorses... and now whales, we're making sure that we share our love of water with her from the get-go and the Moby line from Skip Hop is the perfect way to make bath time reflect that! The versatile Moby Smart Sling 3-Stage Baby Tub is the cutest way to make sure she'll be nice and clean after each and every bath! 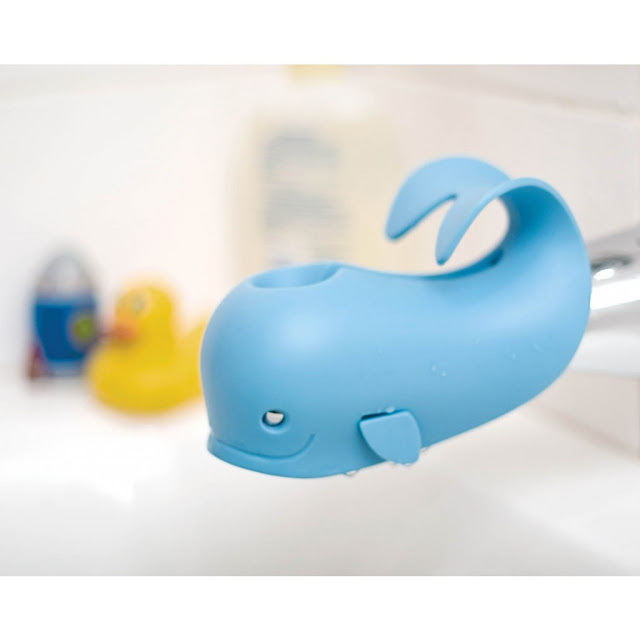 While some other tubs on the market are only for infants, this cute little whale tub is the only tub she'll need! With a sling with an option for higher full body support when she's an infant to a lower seated support once she's holding herself up, this tub will grow with her and make bath time fun for everyone! Once she's mastered sitting perfectly, I'll just remove the sling and allow her to splish splash with Moby! Another reason I love this tub is the handy little swivel hook that allows me to hang it from the towel bar when it's not in use, making for quick and convenient clean up! We aren't just big fans of the Moby tub though! 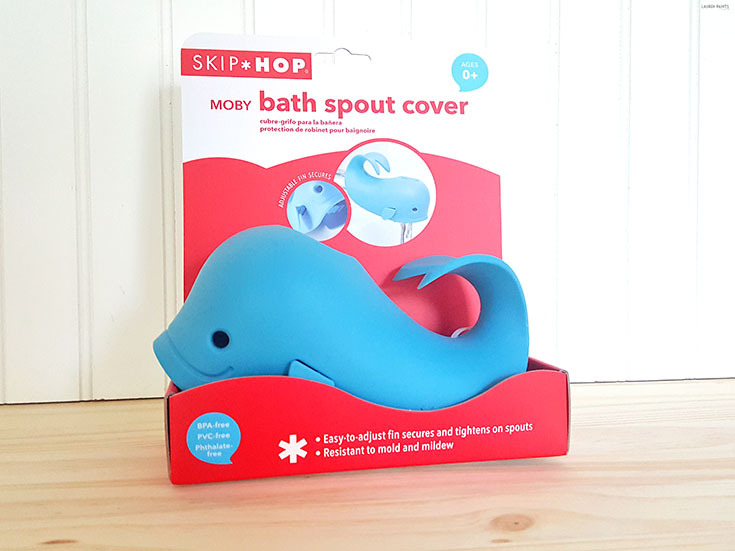 The Moby Bath Spout Cover is the perfect way to keep my little gal safe from head bumps when she's splashing around in the tub! The sleek design with an adjustable strap makes the cute little cover fit on most tub spouts! Plus, the cute little flip of a tail makes Moby easy to hang up elsewhere once bath time is over! Now that we've fallen in love with the Skip Hop Moby line, I look forward to adding the Floating Bath Thermometer, the Waterfall Bath Rinser, the Bath Kneeler, and maybe even the Bathtub Elbow Rest to our collection next! Have you heard of Skip Hop before? Take a look at the many other adorable items they offer and let me know which one is your favorite in the comments below!